If you are seeing a 404 for your email previews or when you click on a link in an email. 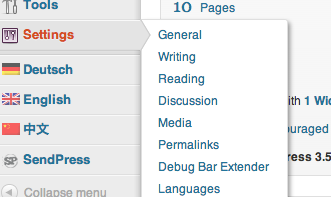 This is usually cause by something not properly clearing the rewrite rules for WordPress. 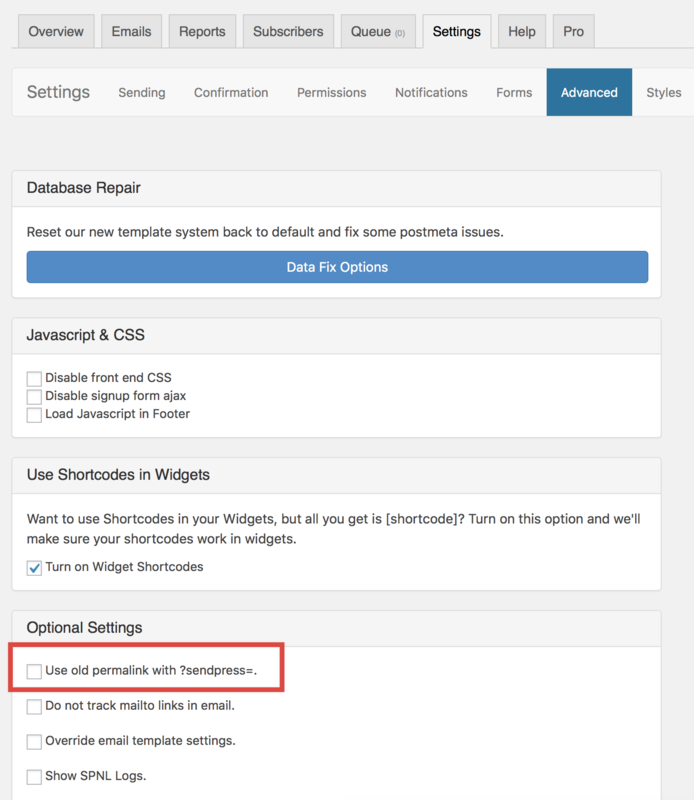 To fix this issue you will need to re-save your WordPress permalink settings. 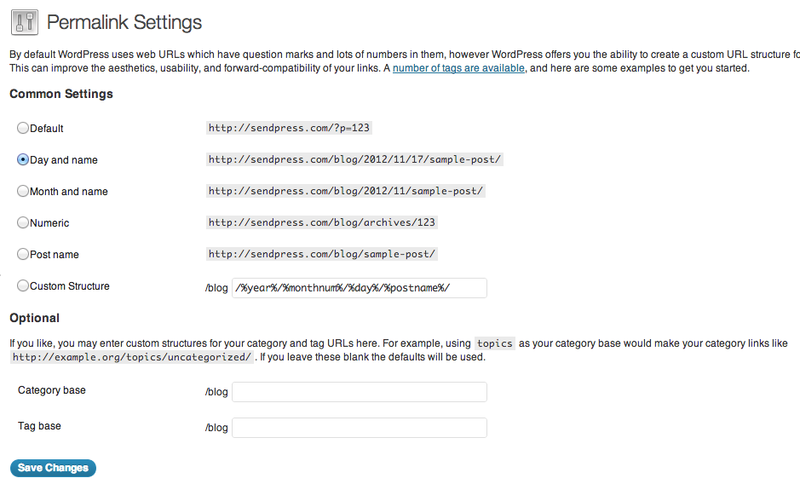 Settings are found under the General > Permalinks menu in WordPress. **Note: It is generally recommended not to use the default settings. If you are using the default settings, strongly consider choosing one of the other options. Then simply click the "Save Changes" button. See Screenshot below. Please try reverting to the old SendPress Url structure. You can do this from the Advanced Tab of the Settings area in SendPress. If you are still seeing issues and have bought PRO please login and open a ticket. If you don't have PRO and would like support please post a question on the SendPress WordPress.org forum.